MNWis now has a Chat Function. Try using this during the net! HamOperator has brand new Hardware. March 11 MNWis net audio (about hotspots) posted. All sorts of fun and interesting links posted. MNWis online streaming discontinued Hotspot services on FCS003-23 will be discontinued Feb. 28. Service will be maintained on YSF “US MNWis 21493”, #37624. 25-Mar-2016: How to set up Windows 7 and 10 for WiRES-X 24x7x365 remote operation on the Fusion Help page. BARS sponsors a Fusion Technical Net held Monday’s at 7:30 PM Central Time (0030 Tuesday UTC Daylight time) in Room #21493 and FCS003-23 as well as a number of Fusion Repeaters. Everyone is welcome! W0MDT – the 444.525 Fusion/FM repeater sponsored by the Bakken Amateur Radio Society and broadcasting from the Medtronic Mounds View facility. Icom AH-4 Universal Tuner. The Official K9EQ Unofficial Icom AH-4 Tuner Page. It’s not just about working all bands. It’s also about building practical, cheap, antennas that you can design and put together with stuff from Home Depot. Find out why 50 ohms and aluminum are evil. Did I mention cheap? Please refer to the BARS/W0MDT Mission Statement. This mission statement applies to all activities including the Fusion Net, and Hams in the Park. We humbly suggest that other organizations also establish their mission statement. 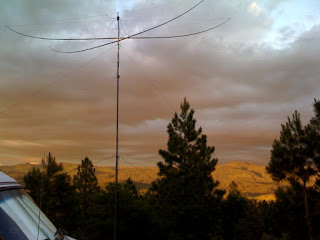 K9EQ’s Amateur Radio Rules. Sometimes we need rules. Sometimes we don’t. Do we need these rules? You decide!